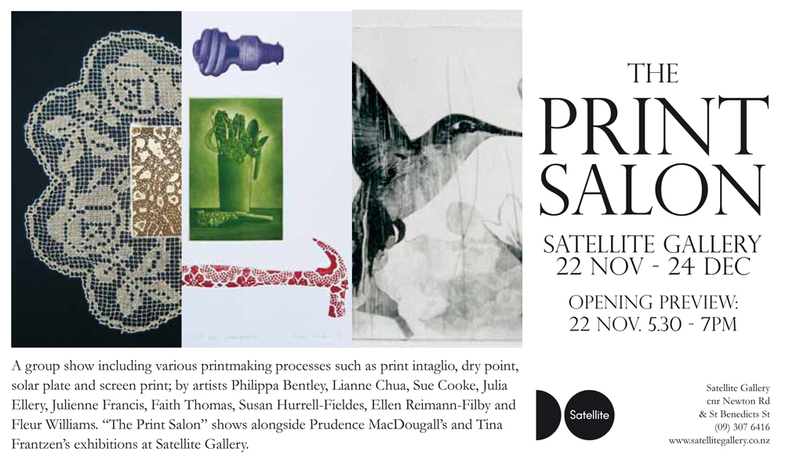 such as intaglio, drypoint, solarplate and screenprint. with the opening event on next Tuesday 22 November 5:30–7pm. Ellen Reimann-Filby and Fleur Williams. Prudence MacDougall and Tina Frantzen.